What’s S. K.’s favorite bit? Two people writing a book together doesn’t equate to one person writing the same story twice as fast. In fact, most people who co-write will tell you that it’s just as fast to write the story alone. We would, anyway. They wouldn’t write the same story either. It’s the continual going over and over the story in the edits that blends our voices together. Even at the end of a novel, when we know the characters well, and we know what’s going to happen, if we both sat down and wrote a final chapter those two chapters would be very different. Different tone, different voice. So obviously, we have different favorite bits for our story too. 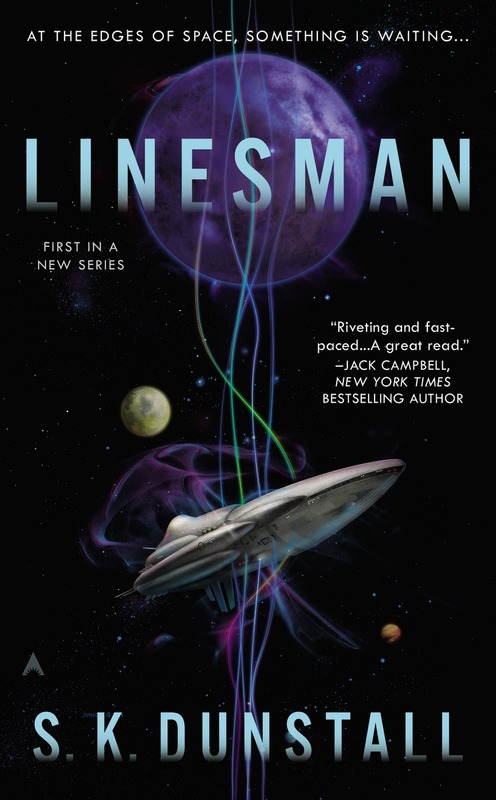 In Linesman, ships travel faster-than-light using lines of energy. Humans don’t know much about these lines. It’s alien technology they discovered and cloned five hundred years ago. There are ten lines altogether, and each line has a different purpose. Line six, for example, powers the engines. Line nine takes them into the void—the alternate dimension equivalent to hyperspace—while line ten moves them through space to a new place in the galaxy. The lines are repaired by specialists with the ability to ‘feel’ the lines and ‘push’ the energy back into place. Linesmen are found early and train for years. Except our protagonist, Ean. (Which we do both pronounce the same way; it’s a variant of Ian, and pronounced like Ian—that is, Ee-yann). Because he came from the slums, he was never tested for line ability as a child and as a result is mostly self-taught. (But he is certified, and he is working.) He hears the lines as song. Sherylyn’s favorite bit comes toward the end of the story. It’s the first time Ean has ever been on a space station. He’s been on planets and on ships, but never on a station before. Behind it he could hear the lines of the station, magnified somehow by the presence of the linesmen, crying out to be heard with no-one listening. The higher lines hadn’t been used since their initial use to transport the station and were atrophying in place. That’s all we can tell you without spoilers, but it’s the emotional impact of all these lonely lines that she likes. 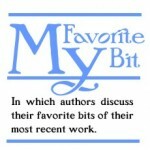 Karen’s favorite bit, or bits, are the one-liners they always tell writers to throw away. Common writing advice is to ‘kill your darlings’, which means delete the prose you are overly attached to. The idea being that if you love it too much it’s only in the story because you love it, not because it should be there. “Abram likes you,” Michelle said, eventually. And everyone sang to the lines, too. Because no-one but Ean sang to the lines, so effectively Ean believes Michelle is lying to him. Ean stayed with the uniforms, Rebekah stayed with the civilians. He did wander over to talk to her once, but she moved away before he got there. Which could have been accidental because he was sure she hadn’t been watching him, but the timing was about as coincidental as the earthquake on Shaolin. Because everyone knew the earthquake on Shaolin had been caused by humans, and it had been deliberately timed to destroy the last remaining line factory in neutral territory, just after a new line factory had opened in enemy territory. Of course there’s overlap in what we like. More, there aren’t many bits we don’t like. If either of us don’t like a section we rewrite it until we have something that makes us both happy. That’s part of the fun of co-writing. 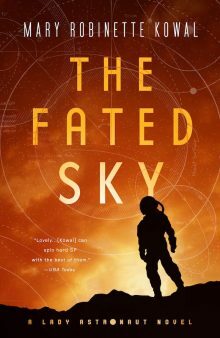 S. K. Dunstall is the pen name for Sherylyn and Karen Dunstall, sisters and co-authors who live in Melbourne, Australia. Linesman is their first novel. Very interesting universe you’ve built. I also love that the two of you combine to a single pen name. I’ll add this to my “to be read” list!